VAUXHALL VIVARO 2900 CDTI. FOR YEARS: 2014, 2015, 2016, 2017 (2014). BRAKE FLUID TANK HOSE. Extended warranty is also available on request, POA. We have been established for over 40 years and built a reputation second to none as the number one most recognised used van parts supplier in the United Kingdom. NISSAN NV300 Box (X82) 1.6 dci 120 Box Diesel 09/2016 on FWD 16 121 89. NISSAN NV300 Box (X82) 1.6 dci 125 Box Diesel 09/2016 on FWD 16 125 92. VAUXHALL VIVARO Box (X82) 1.6 CDTi Box Diesel 05/2014 on FWD 16 140 103. VAUXHALL VIVARO Box (X82) 1.6 CDTi Box Diesel 05/2014 on FWD 16 140 103. VAUXHALL VIVARO Box (X82) 1.6 CDTi Box Diesel 05/2014 on FWD 16 90 66. VAUXHALL VIVARO Box (X82) 1.6 CDTi Box Diesel 05/2014 on FWD 16 115 85. OPEL VIVARO A Box (X83) 1.9 DI (F7) Box Diesel 08/2001 on FWD 8 80 60. VAUXHALL VIVARO Box (X82) 1.6 CDTi Box Diesel 05/2014 on FWD 16 140 103. VAUXHALL VIVARO Box (X82) 1.6 CDTi Box Diesel 05/2014 on FWD 16 90 66. 2x Brake Hoses (Pair) Rear Left or Right 6T47976 LPR. Part Number 6T47976. SAMKO 6T47976. NISSAN 4621300QAA. LPR, hydraulic program is sold in 76 countries, distributed from 6 countries. Function Brake Hose. BORG & BECK,FEBI,VIEROL,Or-Equivalent. 2 Years No Quibble Warranty. 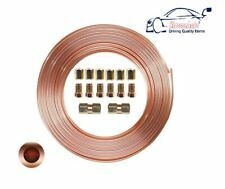 This product carries full 2 years No Quibble Warranty. Belt Tensioner Wheels & Bkts. Brake Callipers. Brake Discs. Brake Master Cylinders. Fitting Position: Rear Axle left or right. Make Model Eng. Month/Year KW HP CC Type. GENERAL MOTORS 4418561, 93859698. RENAULT 8200404264, 8200688042. Brake Hose BBH8116 Borg & Beck. Part Number BBH8116. Function Brake Hose. Fitting Position: Front Axle left and right. VAUXHALL VIVARO Platform/Chassis (X82) 1.6 CDTi Platform/Chassis Diesel 05/2014 on FWD 16 120 88. OPEL 4409164, 4416297, 91166506, 93853917. VAUXHALL 91166506, 93853917. Brake Hose BFH5524 Quinton Hazell. Part Number BFH5524. Function Brake Hose. OPEL VIVARO B Platform/Chassis (X82) 1.6 CDTI (03) Platform/Chassis Diesel 11/2016 on FWD 16 146 107. 2x Brake Hoses (Pair) Rear 6T48003 LPR. Part Number 6T48003. OPEL 4412727 4418515 91167776 93859699. SAMKO 6T48003. NISSAN 4621300QAC. VAUXHALL 4412727. LPR, hydraulic program is sold in 76 countries, distributed from 6 countries. 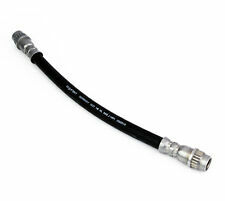 Brake Hose BBH7135 Borg & Beck. Part Number BBH7135. GENERAL MOTORS 4409165, 91166507, 9385962. OPEL 4409165, 91166507. RENAULT 7700834990, 8200003480. VAUXHALL 91166507. Function Brake Hose. Brake ENGINEERING BH770285, BH778325. VIVARO Combi: 1.6 CDTI. VIVARO Platform/Chassis (E7): 1.9 Di. VIVARO Platform/Chassis (E7): 1.9 DTI. VIVARO Platform/Chassis (E7): 2.0 16V. VIVARO Platform/Chassis (E7): 2.0 CDTI. VIVARO Platform/Chassis (E7): 2.0 ECOTEC. 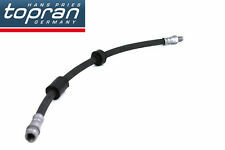 Brake Hose BBH8480 Borg & Beck. Part Number BBH8480. GENERAL MOTORS 93859699. Function Brake Hose. Fitting Position: Outer; Fitting Position: Rear Axle left and right. VAUXHALL VIVARO Platform/Chassis (X83) 2.5 CDTI Platform/Chassis Diesel 08/2006 07/2014 FWD 16 146 107. Belt Tensioner Wheels & Bkts. Brake Callipers. Brake Discs. Brake Master Cylinders. Brake Pads. Suspension Ball Joints. JP GROUP,FEBI,VIEROL,Or-Equivalent. Rear Lights. Brake Hose 6T47976 LPR. Part Number 6T47976. SAMKO 6T47976. OPEL 4409165, 4418563, 91166507, 93859762. NISSAN 4621300Q0D, 4621300QAA. VAUXHALL 4409165, 93859762. LPR, hydraulic program is sold in 76 countries, distributed from 6 countries. Belt Tensioner Wheels & Bkts. Brake Callipers. Brake Discs. Brake Master Cylinders. Brake Pads. Suspension Ball Joints. A497, VILLAR : 618. Rear Lights. Motaquip are an automotive parts supplier with a unique history forged at the heart of the United Kingdom’s motor industry over three decades ago. Motaquip Brake Hose Pipe. Search “Motaquip Auto Spares E-Catalogue”. 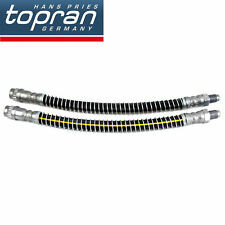 Brake Hose 6T48003 LPR. Part Number 6T48003. SAMKO 6T48003. OPEL 4412727, 4418515, 91167776, 93859699. NISSAN 4621300Q0C, 4621300QAC. VAUXHALL 4412727. LPR, hydraulic program is sold in 76 countries, distributed from 6 countries. Experts at Wulf Gaertner Autoparts AG have re-engineered OE designs to optimise part performance. The safety and operational reliability of a motor vehicle hinge on the quality and durability of its components. Vauxhall VIVARO Box (X82) 1.6 CDTi 1.6 L / 1598 cc 2014.05 - 103 Kw / 140 HP. Vauxhall VIVARO Box (X82) 1.6 CDTi 1.6 L / 1598 cc 2014.05 - 66 Kw / 90 HP. Vauxhall VIVARO Box (X82) 1.6 CDTi 1.6 L / 1598 cc 2014.05 - 85 Kw / 115 HP. Opel 91166507, 93859762, 4409165, 4418563. Vauxhall 93859762, 91166507. Vauxhall VIVARO Box (X82) 1.6 CDTi 1.6 L / 1598 cc 2014.05 - 103 Kw / 140 HP Fitting Position: Rear Axle,Fitting Position: inner,Fitting Position: Left,Fitting Position: Right,Required quantity: 2. Opel 91166506, 4416297, 44 09 164, 93853917. Vauxhall 93853917, 91166506, 44 09 164. Vauxhall VIVARO Box (X82) 1.6 CDTi 1.6 L / 1598 cc 2014.05 - 66 Kw / 90 HP Fitting Position: Front Axle,Fitting Position: Left,Fitting Position: Right. Vauxhall VIVARO Box (X82) 1.6 CDTi 1.6 L / 1598 cc 2014.05 - 103 Kw / 140 HP Fitting Position: Rear Axle,Required quantity: 2. Vauxhall VIVARO Platform/Chassis (X83) 2.5 CDTI 2.5 L / 2464 cc 2003.04 - 2006.07 99 Kw / 135 HP Fitting Position: Rear Axle,Required quantity: 2.